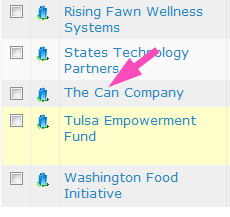 See how donation, events and grant data can live happily under one CiviCRM roof. McKenzie River Gathering (MRG) Foundation is the leading funder of Oregon's social justice movements, driven by an unwavering belief in the power of collective action to change the world. Robust management of our various constituencies is essential for meeting our goals. CiviCRM has had an array of powerful import tools for as long as I can remember but the availble options have been limited. Contacts, Contributions, Participants, Memberships and Activities...sure....but what about the Events themselves? Sorry. What about Grants? Nope. 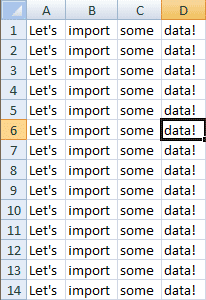 Read more about Using the new CSV import tool to work with even more data! "Sort Name" is used by CiviCRM for tabular search results. CiviCRM has historically just copied the Household and Organization names directly into the Sort Name field. For names such the "The Can Company" and "Tom and Jeri Cooper" this doesn't work out so well; the sort will happen on the letter T as in "The" rather than the letter C as is more appropriate. Read more about Who's interested in a customizable Sort Name? CiviTeacher organizes clear and concise videos into a portable and searchable training library. Read more about CiviTeacher.com is About to Turn One! Proper GRM tools can make all the difference in the success or failure of your herd. 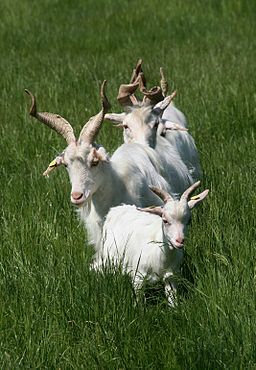 As many developers have found, working with a proprietary goat resource management system can seem simple in the beginning, but customizing it to your herd's specific needs can feel like eating brambles. With the new CiviCRM extensions framework and easily digestible API 3.0, developers can dig in and produce at an unprecedented rate. If you are using Drupal 6, you have a vested interest in extended Drupal 6 support for CiviCRM 3.4 until spring 2012. If you are staying with Drupal 6 because of budgetary reasons or because Drupal 7 doesn't yet support all the modules you need for your site, this is vital for you. You will make sure your 3.4 CiviCRM/Drupal 6 setup remains healthy and safe. Please donate here, if you haven't already.